Chili is the ultimate comfort food and although it's been unseasonably warm this winter in Southern California, there still have been a few evenings where I could curl up on the couch by my warm fireplace and enjoy a healthy bowl of chili. Many vegetarian chili's I've tried don't have the correct balance of flavors, they are either too heavy on the beans, or are mostly a bowl a stewed tomatoes. 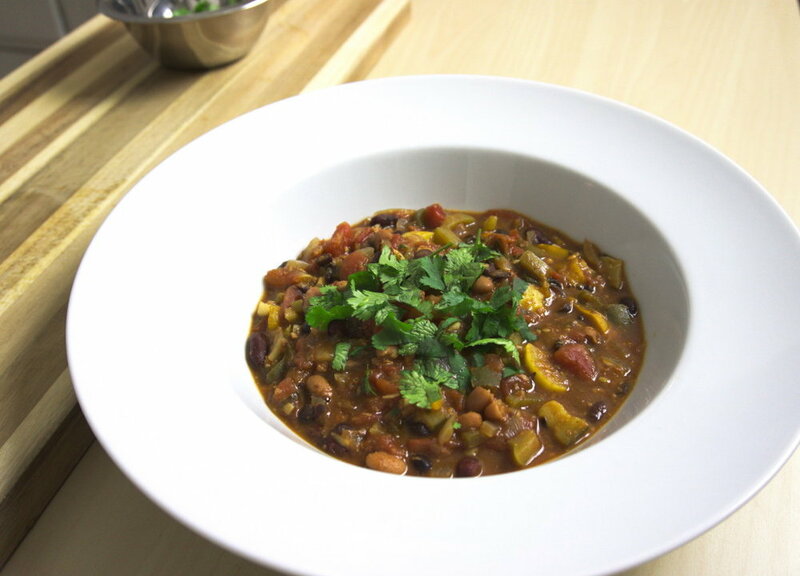 This veggie chili combines fresh veggies with three different types of beans, tomatoes and my secret ingredient, soy chorizo for added texture. © 2018 Heather Storm. All Rights Reserved.